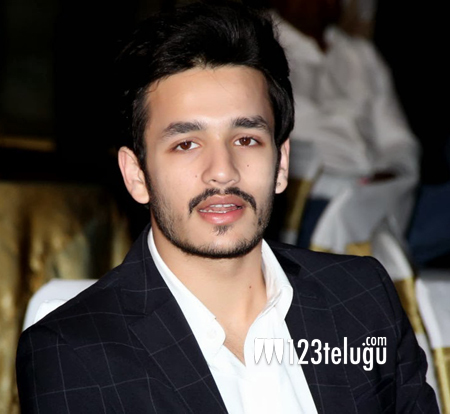 Akhil Akkineni made his debut in Manam. He was able to make an impression with the audience in his short role and looks set for a long Tollywood innings. Speaking about his role Akhil said that he was quite nervous while facing the camera for the first time. “I was very much nervous on the day of my shoot. I had butterflies in my stomach. It all started when Vikram asked my dad if I could be seen in this movie. My dad asked me to listen to story and once Vikram narrated it to me, I was rearing to do the role. On the first day of my shoot, as I sat in the caravan my hands started shaking. I used to call Vikram regularly and ask him to narrate the story. Vikram calmed me down for a while. I was excited to be a part of Manam. Acting alongside my grand father is a privelege and I will cherish this for my entire life.”, says Akhil. Manam has been doing solid business all over the country and has been smiling its way at the box office.